STEP is partnering with Cricket Energy and Jama Property Management, with funding from the BLOOM Clean Technology Demonstration Program (made possible by the Government of Ontario) and the Atmospheric Fund (TAF), to evaluate the real world performance of ductless multi-split air source heat pumps (ASHPs) in multi-unit residential buildings (MURBs). Preliminary results from a TAF study titled “Pumping Energy Savings” indicate that there are an estimated 405,000 electrically heated units in Ontario MURBs and these comprise 24% of all MURB units. The resulting space heating electricity consumption and carbon emissions associated with these electrically heated MURB units can be estimated at 1.92 TWh and 96 kt CO2e per year, but through ductless multi-split ASHP retrofits, this could be reduced by up to 66%. This is because the technology can produce roughly three times the heat energy output for the same electricity input when compared with electric resistance heating. 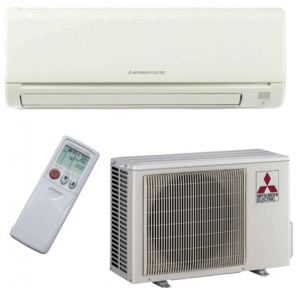 Despite this potential, ductless multi-split ASHPs have not made significant inroads within the sector due to a lack of demonstration and case studies. This project commenced in summer 2017 and seeks to address that barrier through (i) a long-term performance monitoring study of ductless multi-split retrofits in a Brantford electrically heated MURB, (ii) a qualitative study identifying other barriers presented to the technology and strategies for mitigating them and (iii) the development of materials, incorporating case study results and other important guidance, specifically designed for electrically heated MURB building owners to facilitate their decision to perform ductless multi-split ASHP retrofits. This project is part of a clean technology demonstration program of The Bloom Centre for Sustainability, with support from the Government of Ontario and The Atmospheric Fund.